EU leaders agreed last week on proposals for its ongoing migration challenges, including questions around migrant processing centers both on the continent and in North Africa and policies for moving migrants among EU countries. On top of this, German Chancellor Angela Merkel also managed to stitch together a number of bilateral agreements with individual EU countries on returning migrants in exchange for assistance. Why it matters: While not a comprehensive solution, the agreements will restore a degree of stability to Berlin and give Merkel breathing room. Yet they prompted pushback, including a resignation threat from Interior Minister Horst Seehofer that was later revoked. 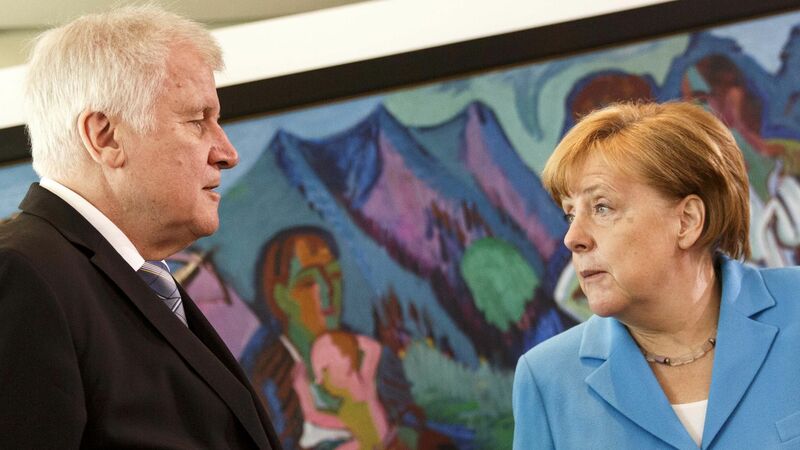 Seehofer's Christian Social Union is a coalition partner of Merkel's Christian Democratic Union likely concluded that had had overplayed his hand this time. While German views on immigration have hardened somewhat since the 2015-2016 European migrant crisis, Merkel remains a popular leader with an approval rating around 50%. CSU, which only received some 7% of the votes in the 2017 elections, would ultimately have little influence over German politics if it were to abandon the ruling coalition with its “sister party,” Merkel's CDU. The bottom line: Merkel is a shrewd political operator. Having been chancellor for 13 years, she clearly knows how to navigate complex political crises both at home and at the European level with patience and endurance. At the end of the day, Germans value stability and there is currently no credible alternative to Merkel and a CDU–led German grand coalition. Until this changes, we should expect a high degree continuity — and perhaps even a stronger Merkel in the near term though the relationship between CDU and CSU will also be more fraught going forward. What's next: A Central European grouping led by countries such as Hungary, Poland and the new government in Austria is growing stronger in the EU and becoming more influential in Bavaria, where CSU has its roots. President Trump has influenced these developments as well, by emboldening and encouraging European leaders on the right to challenge the political status quo in Europe.